Certification standards for sewer and water pipe rehabilitation will be introduced at No Dig in Dallas. Currently, there are major defects routinely not being found using Closed Circuit Television (CCTV) prior to the acceptance of Cured-in-Place Pipe (CIPP) lining projects and new pipe installations. Defects not identified or accurately measured by visual inspection, include accelerator burns, bad service reconnections, cracks, cuts, defective inverts, over-cooking, and wrinkles. In contrast, new guidelines recommend locating and estimating the size of each defect – in gallons per minute – by measuring the variation in electric current able to pass through each defect or opening, in accordance with ASTM F2550. New standards of practice were recently added to Chapter 4, Inspecting and Testing Collection Systems, in the industry’s leading manual, Volume 1, Operation and Maintenance of Wastewater Collection Systems, Seventh Edition, recommending the use of Electro Scanning Inspection. A key advantage of using Electro Scanning Inspection is its ability to automatically differentiate between superficial surface cracks – that do not leak – and cracks or defects that extend completely through a pipe or liner – that represent major leaks. Common remedies to fix defects identified by Electro Scanning Inspection include liner or pipe removal & replacement and trenchless point repair. 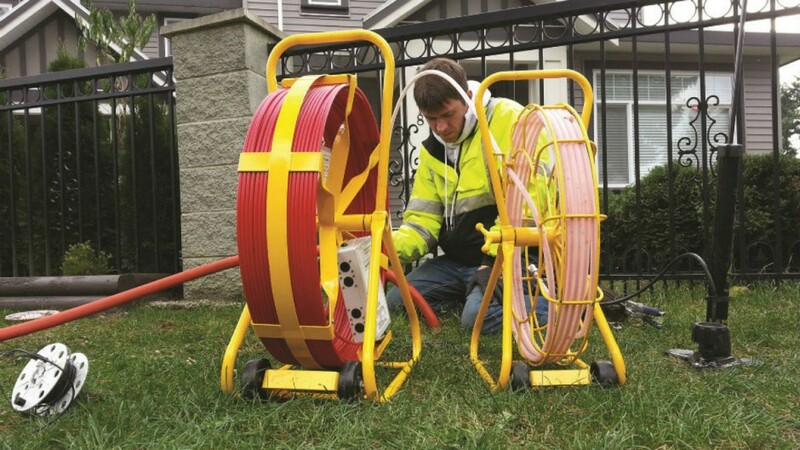 Utilities are recommended to reference ASTM F2550-13, Section 8.5.1 and the Operation and Maintenance of Wastewater Collection Systems manual, Sections 4.40 to 4.45, to certify any pipe repair, relining, or renewal project. During the conference, Electro Scan will also discuss its new Water Leak Detection Services – incorporating its low voltage conductivity expertise as part of its patent-pending Multi-Sensor Water Probe – designed for pressurized water mains and transmission pipes. Founded in 1990, the North American Society for Trenchless Technology (NASTT) promotes responsible ways to manage underground infrastructure. The conference will be held March 20-24, 2016 at the Gaylord Texan Convention Center, Grapevine, Texas.